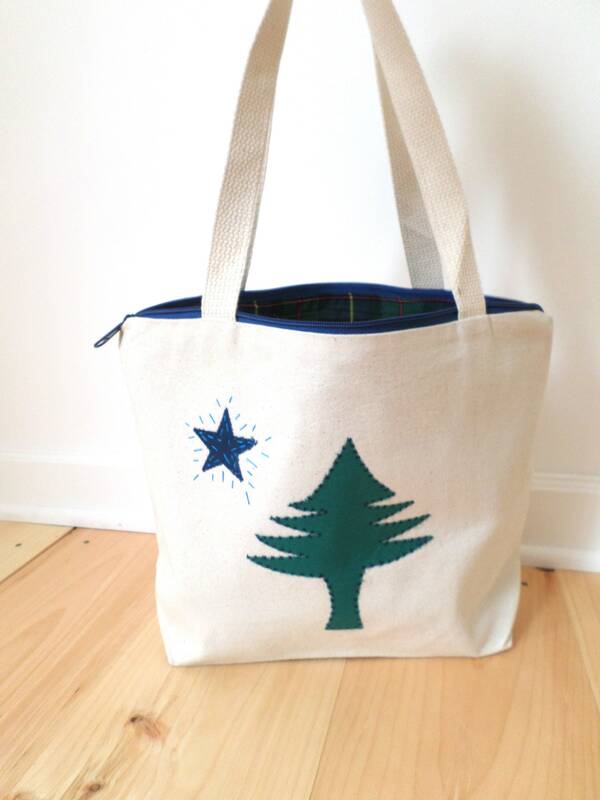 Hand-embroidered with the design of the original Maine State Flag. 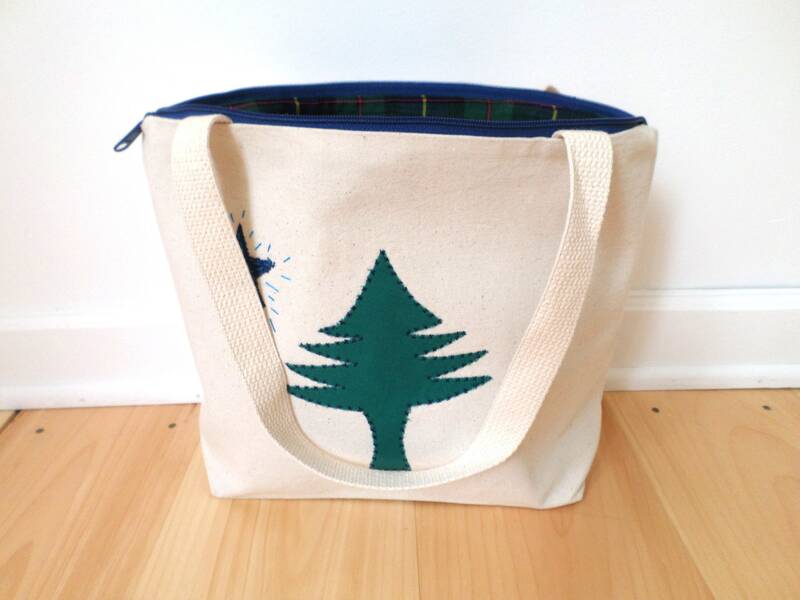 This new series of totes is inspired by the original Maine state flag. 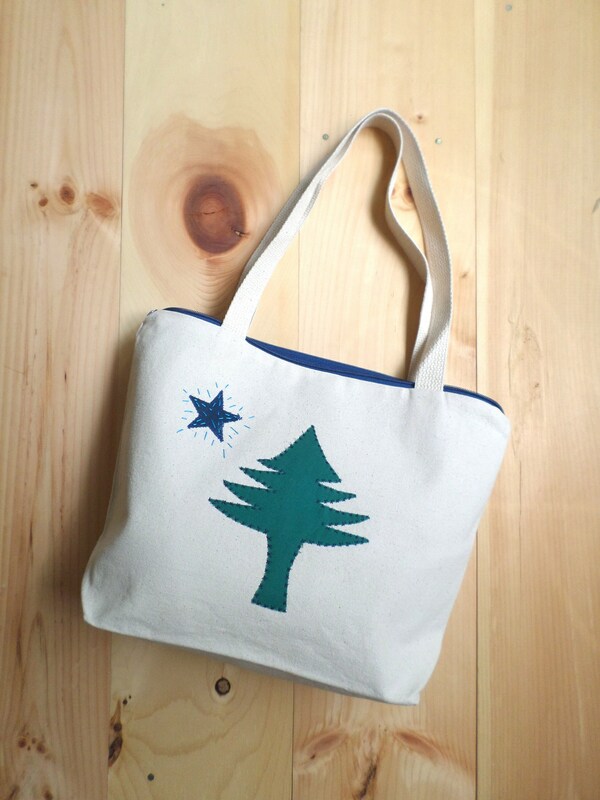 The Maine state flag adopted in 1901 consisted of a green pine tree and a blue North Star on a buff-colored background. I make each and every tote bag in my workshop. No two are exactly alike. Machine wash delicate / cold, line dry. Iron as needed.